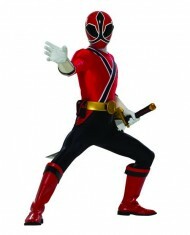 Check out Power Rangers Samurai! Power Rangers are back, and from what we have seen of the new show so far, they’re even cooler! In Power Rangers Samurai this new generation of heroes need to master the mystical and ancient Samurai symbols of power, which give them control over the elements of fire, water, sky, forest and earth. And they’re going to need those powers because together they have to battle the dark forces of the Netherworld and a mysterious warrior bent on total destruction! With this brand new show and an exciting toy range from Bandai, it looks like Power Rangers Samurai is set to be a bit hit. And to give you a sneak peek into what you can expect, check out our exciting Power Rangers Samurai gallery below!